Appox. Size: 30 x 45 cm. 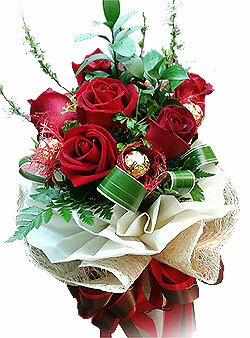 Details: Red roses arrange with Ferrero Rocher chocolates.